Tueday Tales @ 11 a.m. & 2:30 p.m.
One fine Easter morning, George and the man with the yellow hat head to the park. George can’t help but join in the fun when he sees children dyeing Easter eggs . 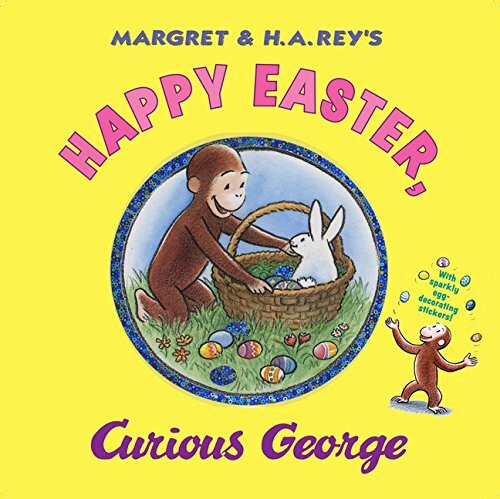 . . but what’s that man doing with their prized creations in “Happy Easter, Curious George” by R.P. Anderson.